Fig. 1. Flow chart of this study. 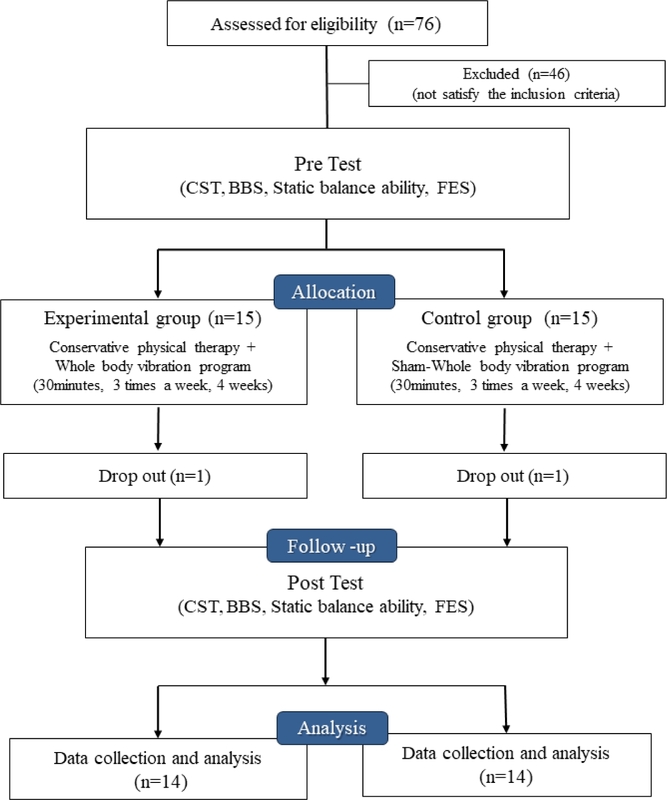 CST: chair stand test, BBS: Berg Balance Scale, FES: Falls Efficacy Scale.